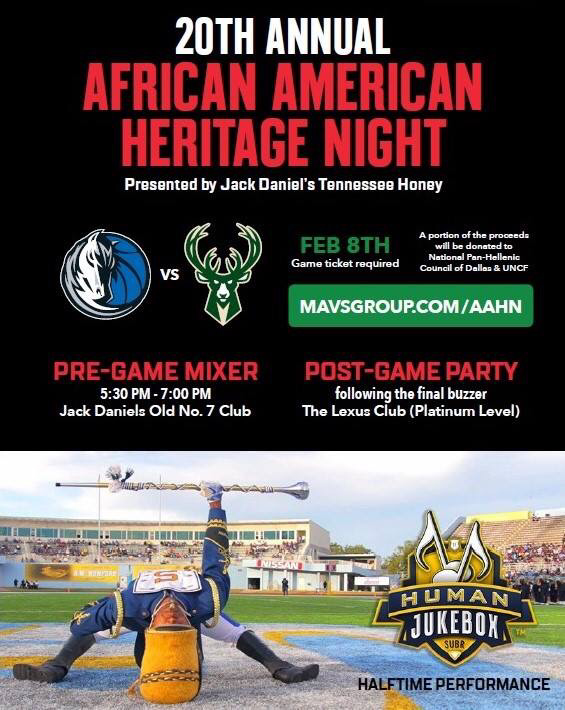 Announcing the Mavs Annual African American Heritage Night on Friday, February 8th Mavs vs. Milwaukee Bucks. 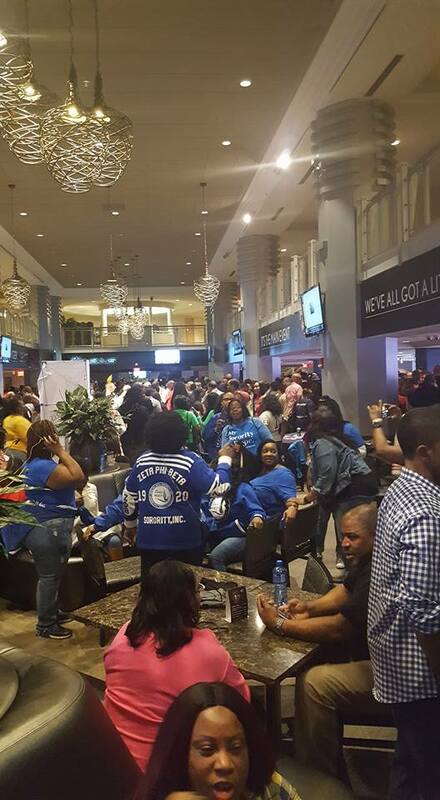 This year, UNCF and National Pan Hellenic Council of Dallas are the hosting groups. A portion of the proceeds will be donated to each organization for Scholarship. -We plan to have a pre-game mixer in our Budweiser Eighteen76 Lounge 6pm.